Seems like I’m on a holiday streak with posts this week! Totally didn’t mean to rhyme… Fair isle and holiday sweaters aren’t just for tacky Christmas parties anymore – make them stylish by pairing with skinny corduroys and booties. 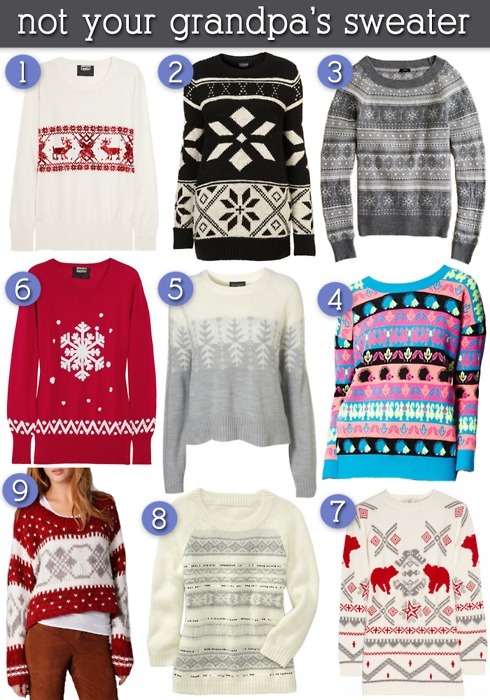 Fun and festive, these sweaters will get you in the mood for carols (and cocktails)!